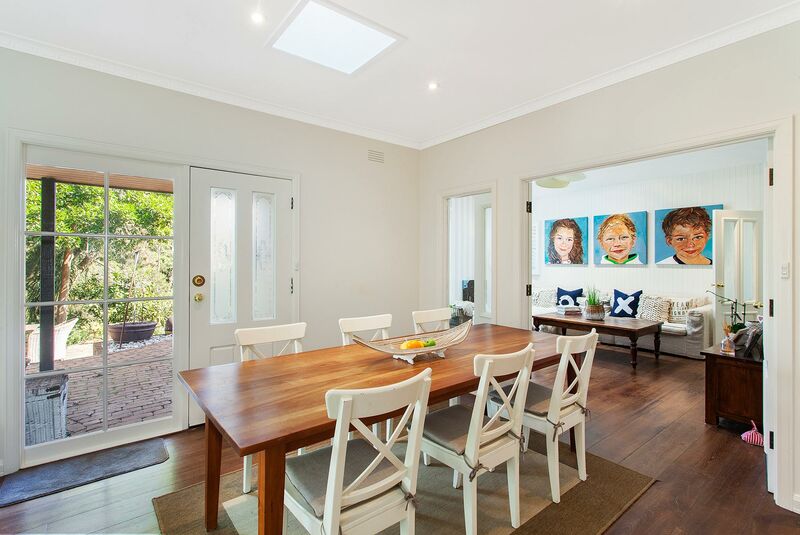 Be transported to the south of France with this Provence-inspired architectural masterpiece located in Mount Eliza. 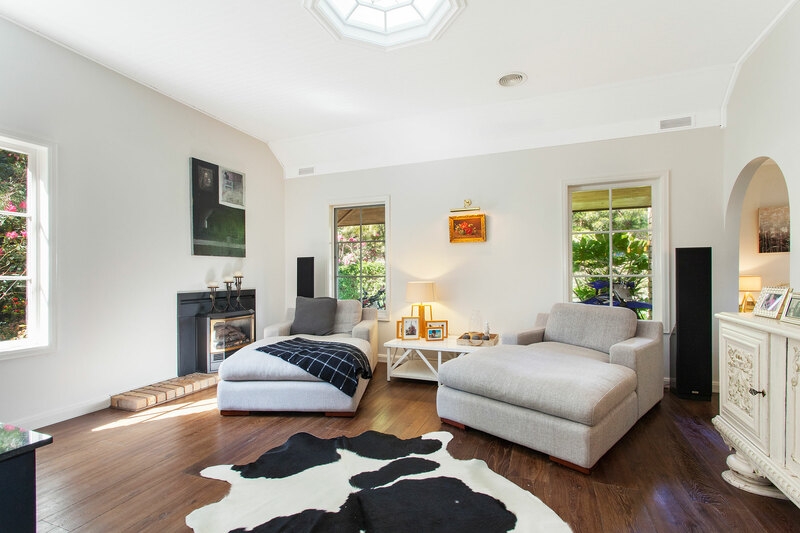 This upscale holiday rental in Victoria has 5 bedrooms and 2 bathrooms to sleep 9 guests in luxurious comfort. 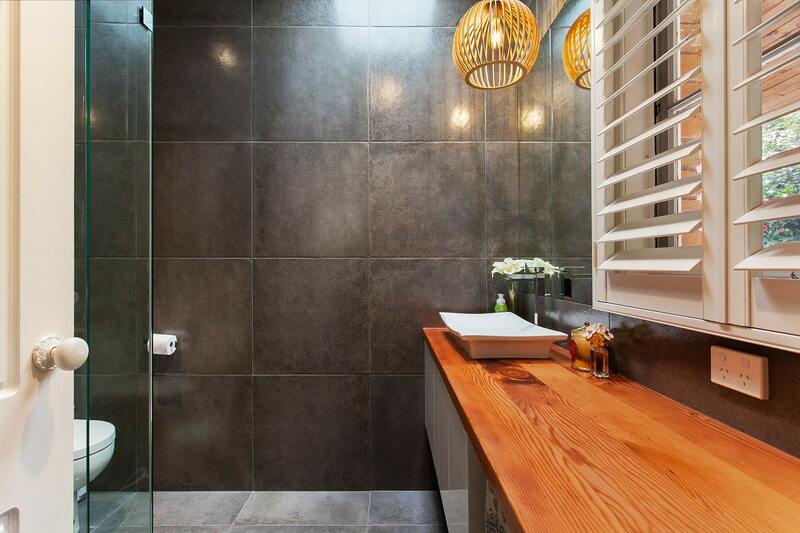 The master bathroom is an indulgent sanctuary with a magnificent rainhead shower. 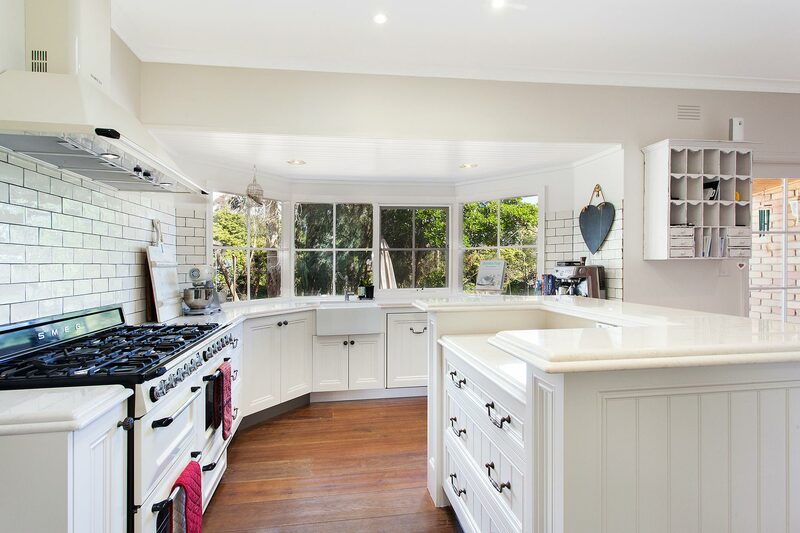 The luxury continues in the family-sized kitchen which makes easy work of mealtimes with side-by-side fridge-freezer, apron sink, dishwasher and island unit. 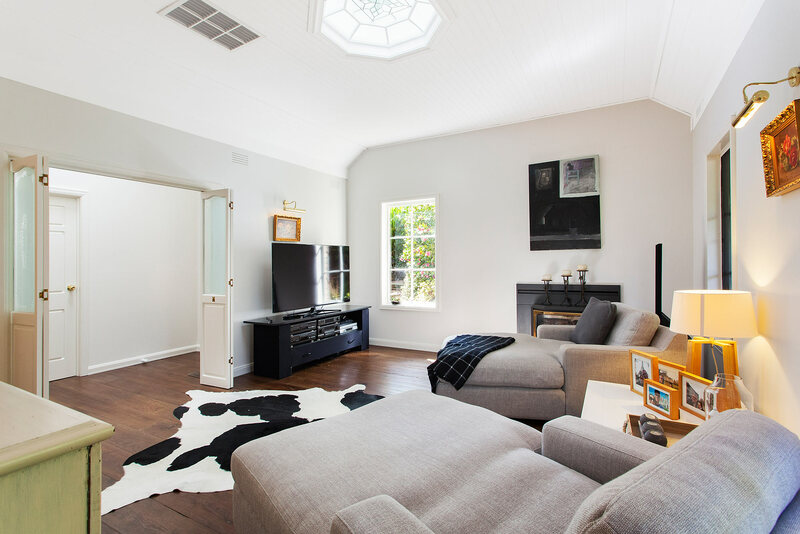 The open-plan living area is light and airy with white decor, hardwood floors and cushioned sofa around the woodburning stove. French doors lead out to the furnished terrace and garden. 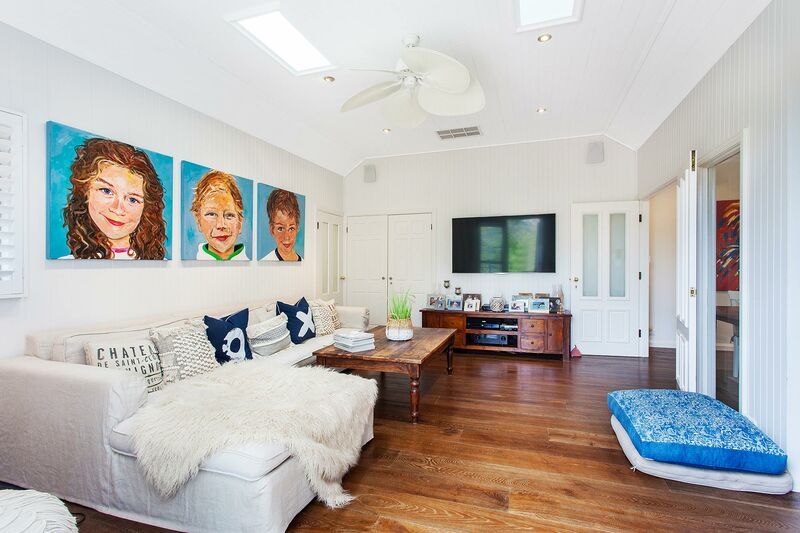 A second media room includes chaise lounge chairs and a skylight ceiling. There’s even a stereo with speakers in the family rooms and outdoor entertainment area poolside. 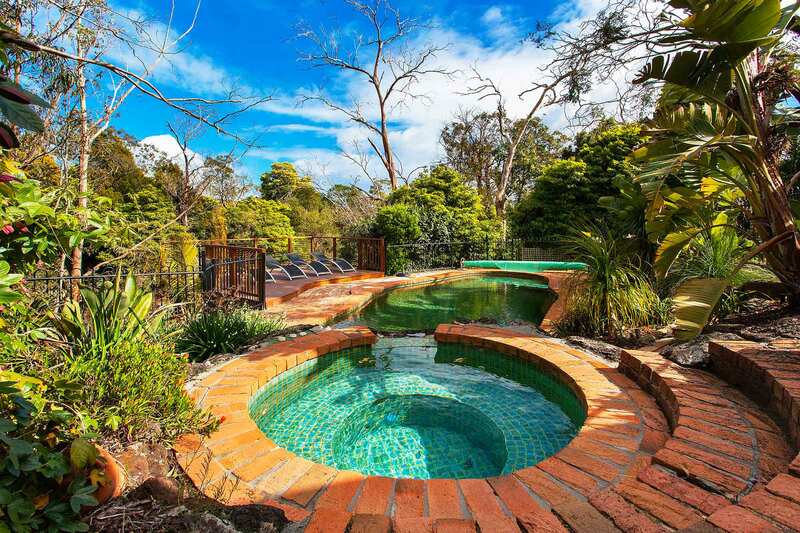 The winding brick-paved path leads down the garden to the relaxing pool and spa area with lounge chairs. 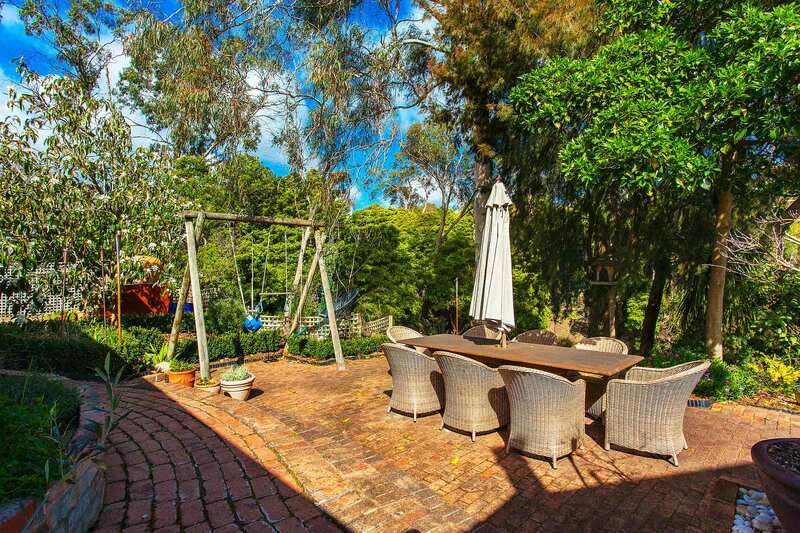 Dine alfresco from the BBQ or pizza oven, surrounded by happy birdsong and native trees. 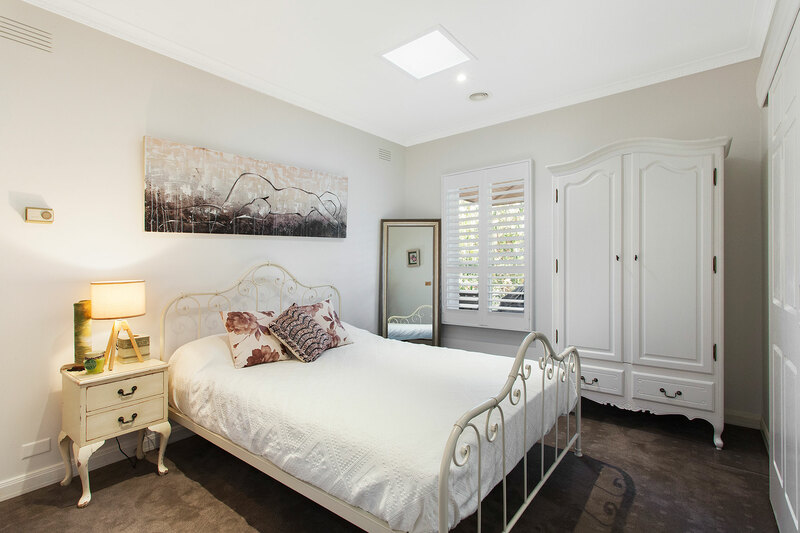 It’s the perfect setting for a relaxed holiday within 10-15 minutes’ drive of local restaurants, pretty beaches, scenic hiking trails and the stunning natural beauty of the Mornington Peninsula. 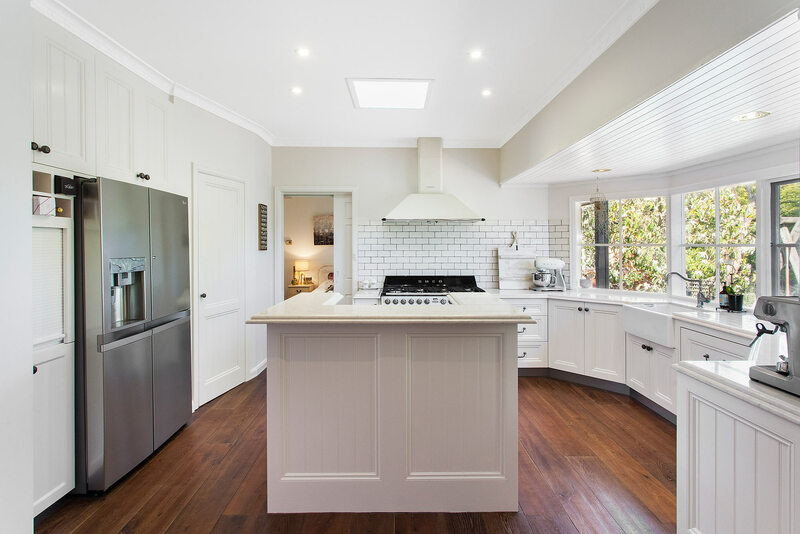 The open-plan kitchen is a chef’s dream with white marble bench tops and European appliances. The island bar is the perfect place for casual dining or enjoying evening cocktails and canapés with friends. There is an Italian gas oven/hob beneath an extractor fan plus modern stainless steel appliances. 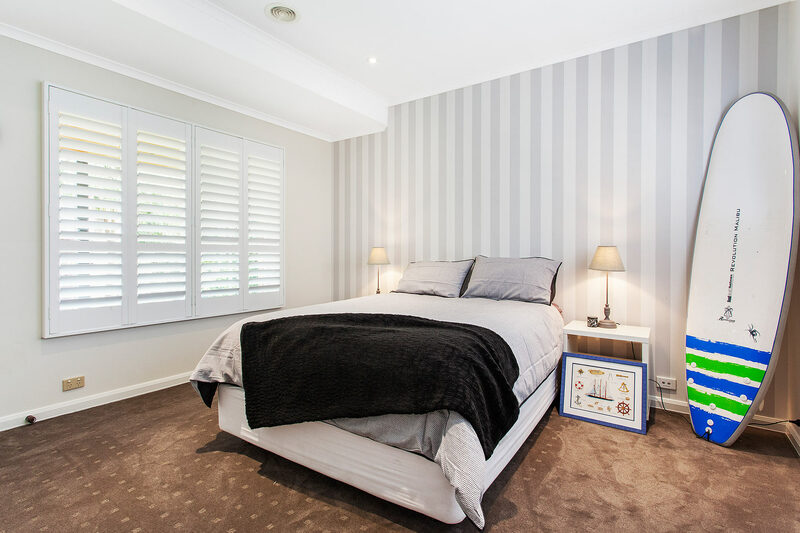 All bedrooms have plantation shutters and tasteful, calm decor. 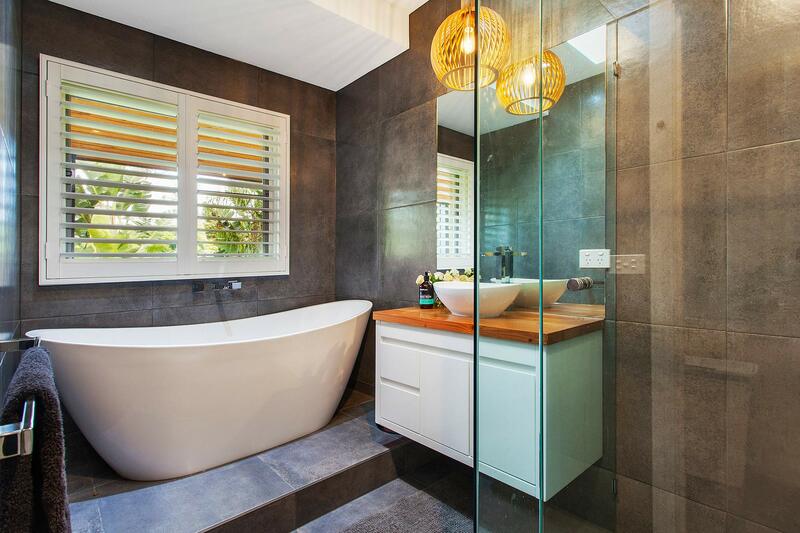 La Provence offers 2 bathrooms for guest relaxationincluding one family bathroom and a freestanding bathtub and soaking rainhead shower in the master ensuite bathroom. The expansive outdoor living area offers a second dining table for 8 and multiple day beds and outdoor settings for a relaxed al fresco lifestyle overlooking the pool and spa. Enjoy an afternoon of pizza making with the outdoor pizza oven or plan a casual BBQ with friends. 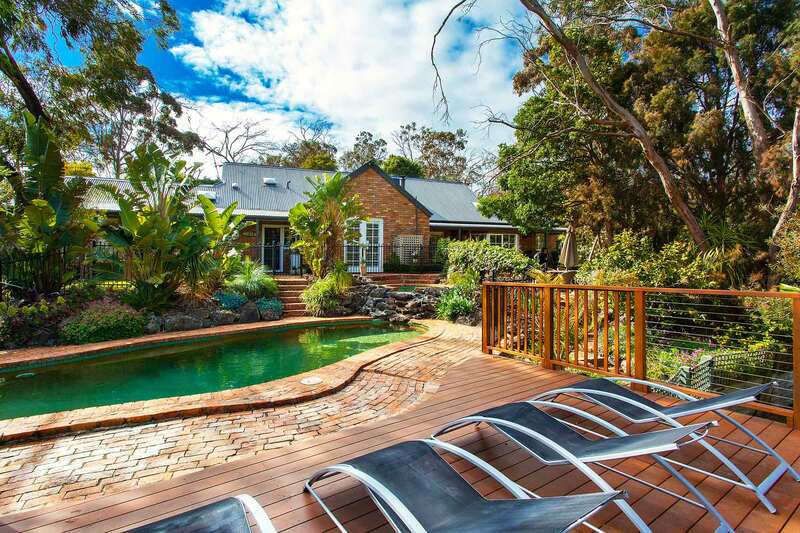 This luxury Mount Eliza holiday rental sits within private gardens with flowing creek, native trees and a multitude of birds and wildlife. It’s the perfect hideaway for listening to the sound of crickets and birds. 3 undercover spaces are provided in the carport with room for an additional 4 cars in the driveway. 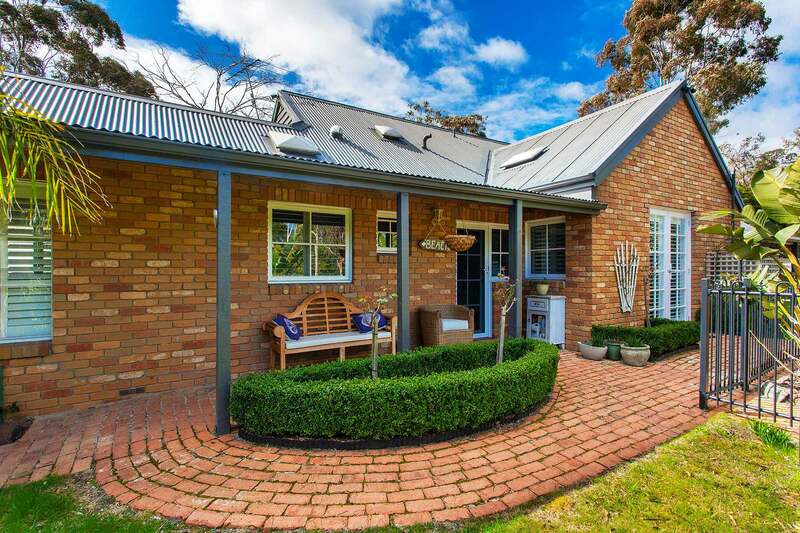 This spacious Mt Eliza holiday rental in Victoria is a short 4km drive to the quaint village center which has supermarkets and restaurants. There are several gorgeous bays, beaches and creeks for exploring nearby, including Mt Eliza Beach 5km away. 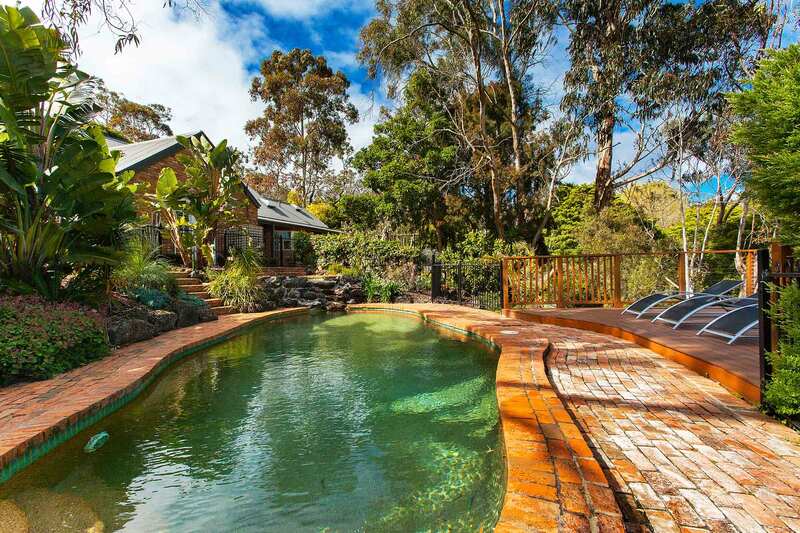 Fifteen minutes’ drive from La Provence holiday rental is the Mornington Peninsula National Park. 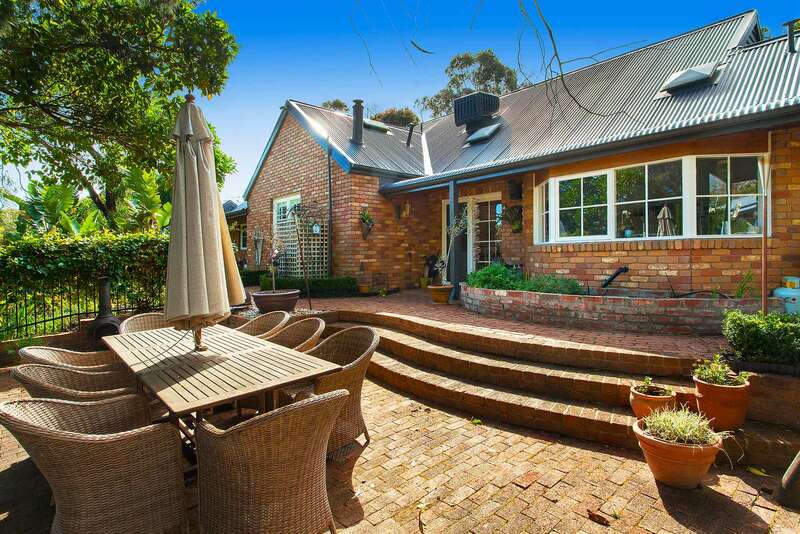 It includes a scenic 19-mile walking track from Cape Schanck, with its landmark lighthouse, to London Bridge. 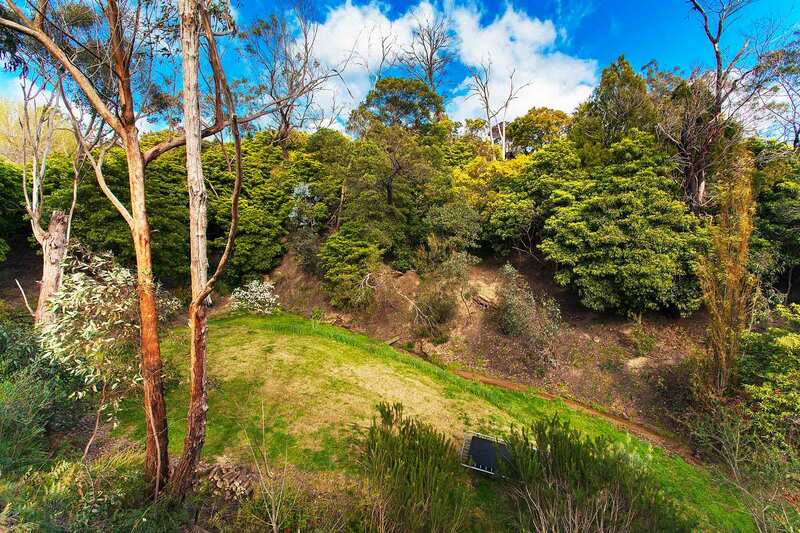 Hiking, cycling and horse riding are the best ways to enjoy this stunning area of natural beauty in Victoria. 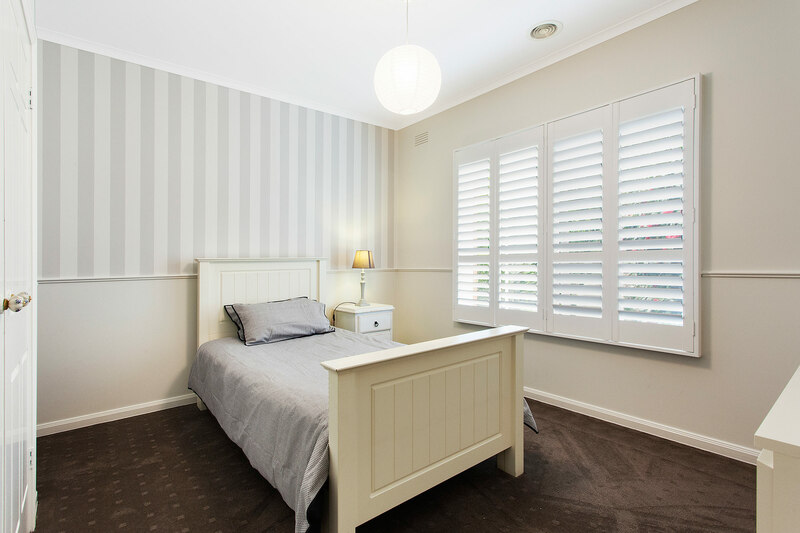 Group restrictions - maximum of 8 adults at the property unless otherwise approved directly with A Perfect Stay. 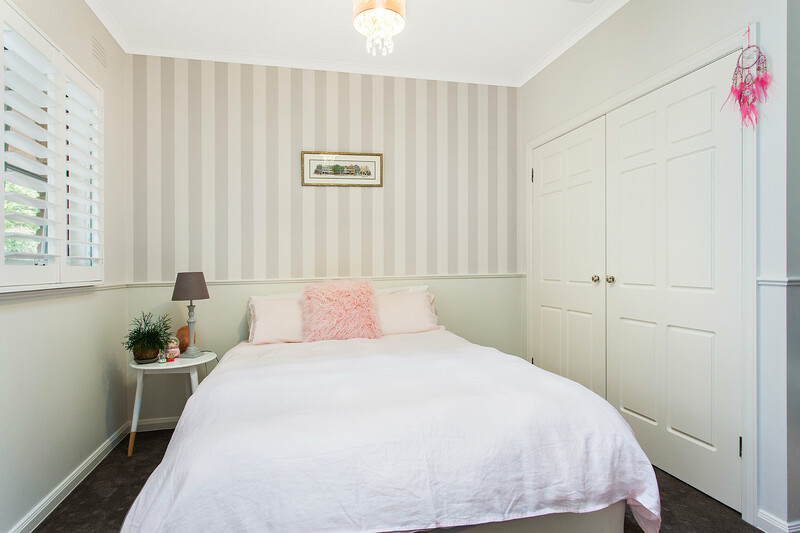 Photo or video shoots may be arranged directly with Byron Bay Holiday Rentals. Additional fees and T&C apply. No schoolies or school leavers permitted. Christmas and New Year Bookings: if dates include both Christmas Day and New Year's Eve a 12 night min stay applies unless otherwise approved directly with the host.